Shanghai CaptainLine International Logistics Co., Ltd is a comprehensive and professional freight forwarder with the first class qualification approved by the Ministry of Foreign Trade and Economic Cooperation. We provide professional chartering and forwarding service for the imported and exported project programs, break bulk cargos, heavy cargoes, RO-RO cargoes, chemical and forest products etc. The preponderant lines for the break bulk cargoes include South East Asia, Persian Gulf, Red Sea, North Africa, West Africa, Mediterranean Sea and Europe, South America, American Gulf, etc. Hard working and good performance have made our company well known in the professional forwarding and chartering markets. The company&apos;s headquarter is in Shanghai. During the cooperation with the various shipping owners, forwarders, cargo owners and ports worldwide, a strong and efficient network which covers the main markets all over the world has been set up. 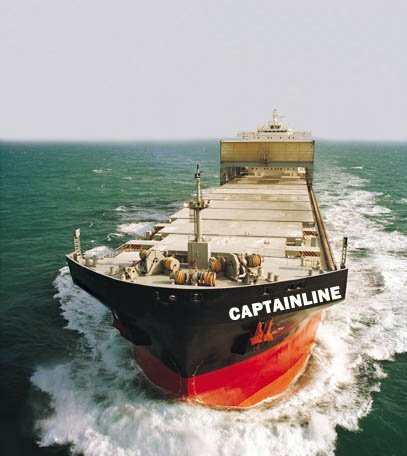 CaptainLine sticks to the principle of "Honest to seek Mutual development, Customers-oriented to pursue perfect service", and "Faith, Development, Factualism, and Innovation" as the enterprise spirit. The company has a large number of specialists who are highly motivated to offer experienced and quality service to the domestic and overseas clients. Chartering and booking business of steel products, ductile cast iron pipes,equipments, chemical products, forest products and so on break bulk cargoes to the lines all over the world. The RO-RO cargoes transportation, especially for the lines to Persian Gulf, Red Sea, North / West Africa and Central / South America. All kinds of special container transportation. Transportation and port transshipment for exported and imported big project equipments, heavy cargoes. Inland transportation for containers, break bulk cargoes and heavy cargoes in Chang Jiang River.